“They [the Italians] seem to commence everything with spirit to get tired of it before it is finished.” Mary Marrifield’s letters from Italy to her husband are full of charming–and if you are Italian sometimes engaging–reflections. 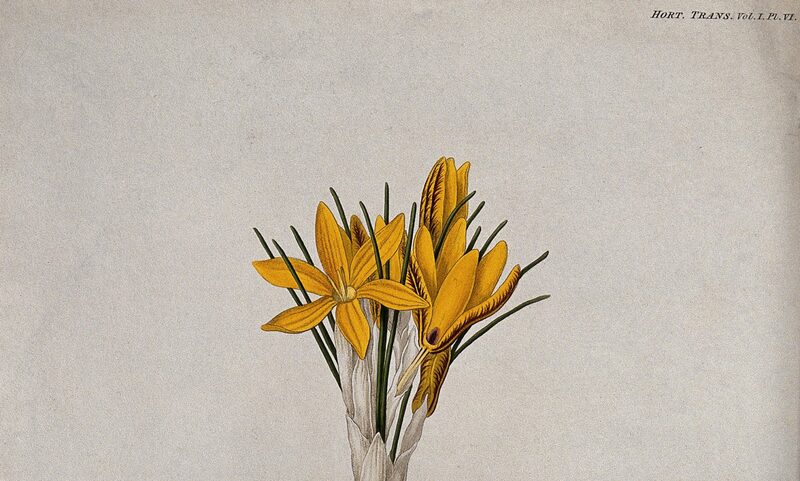 The importance of the publication of Mary P. Merrifield’s (1804-1899) letters for the history of recipes will not pass unnoticed to the reader of this blog as well as to those interested in the transmission of the art techniques. 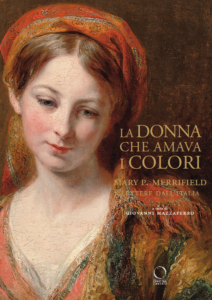 Merrifield published the first English translation of Cennini’s Libro dell’Arte (1844),and a few years later, following her journey in Italy, The Art of Fresco Painting (1846), and the Original Treatises on the Arts of Painting (1849), works that have made the history of modern artistic techniques. Recently found in Brighton by Zahira Véliz Bomford, Merrifield’s letters have never been published in English. Sent by the English Royal Fine Arts Commission, Merrifield travelled in Italy for several months between 1845 and 1846 to collect as many historical manuscripts on painting techniques as possible. 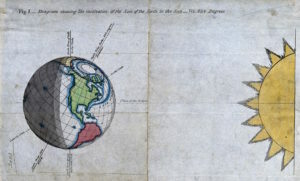 The objective of the search was to enhance the English arts, which were called to glorify the British Empire at its acme. The letters are a refreshing, revealing, and entertaining look of northern Italy in the years before the political turmoil of 1848, as well as a dive into Merrifield’s world and vision. Giovanni Mazzaferro now publishes the full text of the correspondence in an enjoyable Italian translation, La donna che amava i colori: Lettere dall’Italia 1845-1846 (Milano: Officina Libraria, 2018. 192 pp. ISBN: 978-88-99765-70-5). An independent scholar at his second publication –the first being Le Belle Arti a Venezia nei manoscritti di Pietro e Giovanni Edwards (2015)–Giovanni Mazzaferro keeps a renowned blog, Letteratura Artistica, which started around his rich collection of published sources for art history. Mazzaferro thorough apparatus of footnotes will be of use to the growing number of scholars interested in Merrifield as it spans from the identification of manuscripts and paintings, to individuating the people Merrifield met during her quest, and to secondary literature. In the substantial introduction, Mazzaferro insists that studying Merrifield under a single perspective, such as the artistic or the scientific one, deprives us of a full understanding of the complexity of her character. Merrifield was a multifaceted intellectual, almost the nineteenth-century woman version of a Renaissance virtuoso. A swift but careful overview of her life and works shows this vast breath: she published in the field of artistic techniques and colors, of maritime biology, and, toward the end of her life, for the advancement of women in society. Merrifield’s familial practices predate her written commitments to the advancement of women. During the journey in Italy, Merrifield travelled accompanied by her son Charles, while her husband stayed in Brighton with their other four children. Husband and sons were all working for Mary, as they were involved in the transcription, translation, and writing of Mary’s books. Such odd family arrangement, at least for the time, presents us with an unconventional nineteenth-century woman. Overall, Merrifield does stand as a complex figure whose progressive private arrangements are parallel to her deep patriotism, her commitments to the English empire, and her Victorian style. Her figure reminds us that intellectual and private identities cannot be easily defined: a progressive stand on the role of women does not necessarily conflict with an imperial vision, the interest in old manuscripts, and color techniques can go hand in hand with a passion for algae. Mary Merrifield to John Merrifield, November 2, 1845. Indra Kneepkens is a technical art historian, specializing in the materials and techniques of late medieval panel painting. She is currently finalizing her dissertation, which is focused on the use of processed linseed oils and paint additives in the painting practice of the fifteenth and early sixteenth century. From art technological sources, such as recipes and manuals for the preparation of paints, and from the analysis of paint samples, we know that late medieval and early modern craftsmen heated oils for use as a binding medium in paints, as well as for the preparation of varnishes. As a technical art historian, I research and reconstruct these oils and varnishes, to be able to establish the effects they have on paints. My aim is to understand how the development and use of these materials influenced the painting process and the final appearance of art works. Unfortunately, 14th- to 17th-century art technological sources that include heat-treatment of oil typically do not give absolute temperature indications. This is no surprise, because thermometers were developed in different stages between the late 16th and early 18th century. Therefore, craftsmen had to rely on their senses for the assessment of temperature. That controlling temperature was important to late medieval craftsmen is illustrated by a remark in the Libro dell’arte (ca. 1390), that was written by the Italian painter Cennino Cennini. In his recipe for a heat-treated oil the writer almost personifies fire, warning us that it would willingly burn down the house if it got a chance to reach into the pan. And indeed, it seems likely that the temperature of oil was sometimes raised pretty high, to the point where potentially explosive gasses form. So how did pre-thermometer craftsmen determine the temperature of their oils? Even if not in absolute terms, early modern sources do contain clues about the kind of temperatures that were considered useful in oil processing. In most cases, oils were heated over fire, in ceramic, bronze or copper vessels. As wood or peat fires can easily reach temperatures over 500°C, and the vessels were able to withstand these, it was clearly possible to reach the auto-ignition point of linseed oil (ca. 343°C). Most likely, temperature would have varied from case to case, depending on factors like fuel type and the distance between the vessel and the heating source. 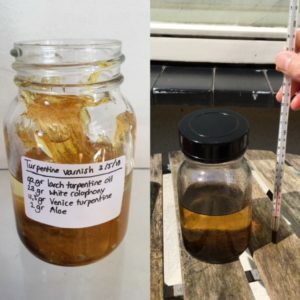 Sometimes sources mention a strong reduction of the oil, or they describe the texture of the end result, comparing it to fluid honey for example. In varnish recipes a string-test reoccurs, in which a finger is dipped into, and then lifted from a cooled drop of the mixture of boiled oil and resins, to see if a thread is formed.My own experiments have shown that to reach a sufficient thickening of an oil or varnish, and to dissolve most resins, the materials must be heated for quite some time and at a fairly high temperature. Finally, empirical tests that remind us of everyday cooking may have been used to keep an eye on the temperature of oils. 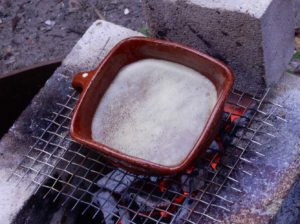 In Arte de la Pintura (1649), Pacheco describes how bread, garlic and feathers were stuck in boiling oil; if they appeared browned or scorched, the cooking process was completed. During my experiments over the past few years, it has become evident that one can make a reasonably accurate temperature assessment based on how the oil behaves during heat-treatment. A swirling movement for example, was noticed in oils from a temperature of ca. 90°C, while repugnant fumes typically started to develop around 200°C. I also realized that the development of foam, which is commonly mentioned in recipes, may have been a clear indication of temperature. 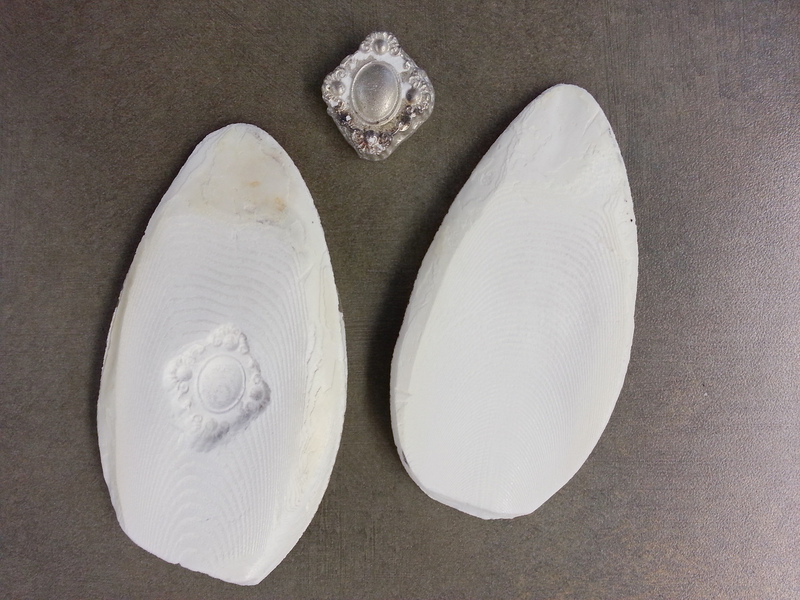 But it is also closely related to the type of cooking vessel that was used. I did not see any foam until I exchanged my glass laboratory beakers for a glazed ceramic pot. Foam appeared when the oil reached a temperature of 100°C. It must have been caused by water evaporating from the clay body, as I had rinsed the vessel before use. Bubbles also formed when garlic and bread were boiled in oil, from ca. 61 and 80°C respectively, with a high point again around 100°C. Although the garlic started to darken earlier, both bread and garlic clearly browned around 180°C, and completely blackened between 230 and 240°C. In another experiment thirteen feathers, of different size and from various birds, were dipped in hot linseed oil until they started to curl. Surprisingly, all feathers curled within a range of 27°C, between 237 and 264°C. These experiments not only support the relative accuracy of these empirical methods, but also indicates that temperatures of ca. 100 and 200-250°C were meaningful to early practitioners. Figure 2. Raw linseed oil (far left) heated at 150 (1-4 hours, jars 2-5 from the left), 200 (8 hours, larger jar) and 300 degrees C (1-4 hours, jars 7-10 from the left). 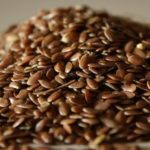 In more systematic tests, linseed oil was heated to 150 and 300°C, for one, two, three, and four hours. Interestingly, the color and thickness of the oils that were heated at 150°C appeared more or less unaltered after the experiment. In tests where these oils were mixed into paints, they behaved very similar to raw linseed oil. At 300°C the oils thickened and darkened considerably. They affected paints in a very significant way, causing them to level, and making it possible to create smooth glossy films without any visible imprint of the brush. Paints with these oils were also less prone to yellowing. An oil that was heated at 200°C for eight hours however, still made paints level perfectly, but it also caused extreme yellowing. So knowing how to assess temperature and balancing it over time must have been crucial skills for those who prepared heat-treated oils and varnishes. 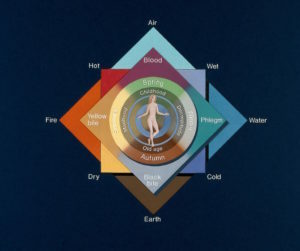 Experiments have shown that knowledgeable individuals would have been able to make a fairly accurate assessment of temperature, using their senses. They could note changes in the appearance and behavior of oil and indicator materials, and manually test its viscosity. Although there are several indications that temperatures of 200°C and higher were preferred, it makes sense that craftspeople would adapt the temperature to the materials at hand and the desired end result. 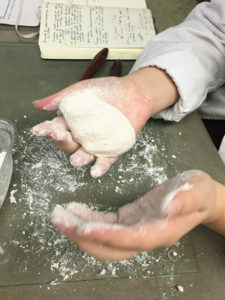 The lack of unambiguous temperature indications in oil processing recipes reflects this adaptive use of temperature and a reliance on the senses that was expected of craftspeople before the invention of thermometers. Broecke, Lara. 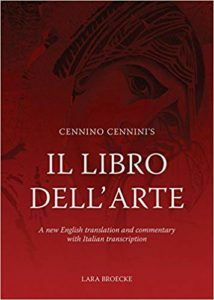 Cennino Cennini’s Il Libro dell’ Arte: A new English translation and commentary with Italian transcription.London: Archetype, 2015, 127, chapter 91. Aldeias, Vera, Harold L. Dibble, Dennis Sandgathe , Paul Goldberg, and Shannon J.P. McPherron . “ How heat alters underlying deposits and implications for archaeological fire features: A controlled experiment” Journal of Archaeological Science67 (2016): 66. Broecke 2015, 127. Neven, Sylvie. The Strasbourg Manuscript. A Medieval Tradition of Artists’ Recipe Collections (1400-1570). London: Archetype, 2016: 132-135, no. 92-94.